Solange Knowles is under the hot lights on set, but her demeanor is cool while hairstylist Chuck Amos coifs her strands into French rolls. 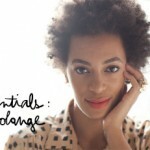 Knowles’s now famously impulsive act, chopping off her tresses in 2009, has transformed her into a natural hair icon. But that was never her intention. “I honestly was just tired of the energy surrounding my hair,” she explains. “So when I cut it, I didn’t think about what anyone else would think.” We’ve been admiring her flair for switching up her hairstyles ever since. She’s living proof that natural hair can be versatile, stylish and edgy. In the june issue of ESSENCE, she opened up about wearing and caring for her crowning glory. ESSENCE: Are you surprised so many people are inspired by you? 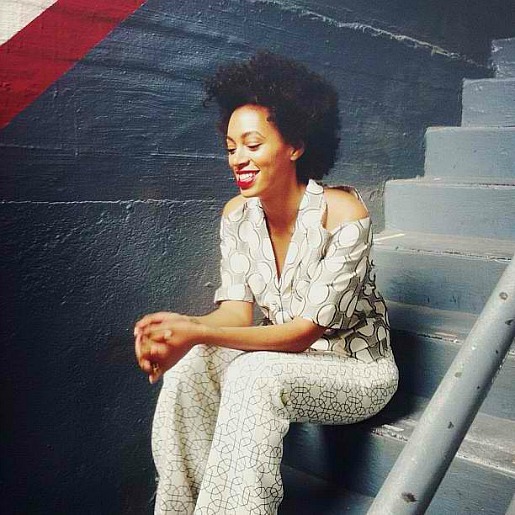 SOLANGE KNOWLES: I am! I wasn’t expecting that. I get women all the time on Twitter and face-to-face saying, “I did this [haircut] because you did.” That’s really, really humbling, and I think it’s amazing. ESSENCE: Is there any style that stands out as a favorite? KNOWLES: I actually love my natural hair when it’s in a twist out and it’s been slept on for five days and revived by the steam of the shower. A lot of people say, “It’s so beautiful. Why don’t you wear it like that all the time?” Well, I’m in all these different places and working with different hairstylists, so it’s important for me to wear it in a protective style. ESSENCE: How do you feel about your hair now? KNOWLES: I think many people, especially from other cultures, just don’t understand the role hair plays in Black women’s lives. I can now transform the energy surrounding my hair into something way more productive. Now that [my hair is] growing back, I’m kind of in that in-between stage. Previously, I would have said, “I’m straightening it again; it’s just becoming too much work.” But I think the key is to find styles that give me flexibility. ESSENCE: What advice would you give someone who wants to go natural? KNOWLES: I would say it’s going to be a journey and you have to be 100 percent ready. I think many people are coming into it thinking it’s going to be easy and it’s going to be healthier. Just because you’re natural doesn’t mean you’ll be able to wash, shake and go. It’s a lot of work. If it’s something you truly feel strongly about and it’s going to represent you in lifestyle, hair care and health, then it’s a worthwhile journey to take. I stand for people who are firm in their journey. Check out Solange’s top tips for keeping your textured tresses healthy, fabulous and fly as seen in the June issue of ESSENCE magazine. Love her and her hair!! I’m a huge fan of Solange’s style and her hair.